Lee Bird Leavengood of Tampa was born in Monticello, FL in 1928. While attending the Florida State College for Women (FSCW) in 1947, she was one of a small group who were offered a scholarship to help gender-integrate the University of Florida, which was going co-ed for the first time. During her time at the University of Florida she led the charge to create a safe place for fellow women in the new environment by colonizing one of the University of Florida’s first Greek letter organizations for women, the Beta Pi Chapter of Kappa Delta Sorority, which flourishes on the campus to this day. 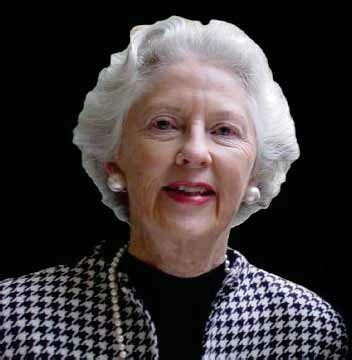 After following her newspaper executive husband to Tampa in 1959, she became actively involved at the University of South Florida as an officer in the President’s Leadership Cabinet, a pioneering female USF Foundation Board member, an active volunteer, and ultimately as a much beloved and long-tenured (35 years) program builder and administrator. With a professional career that spans nearly three decades at USF, Lee Leavengood ultimately spearheaded the creation of the USF Division of Senior Programs and initiated and coordinated three major senior programs in the greater Tampa Bay area: USF SeniorNet Learning Center, USF Learning in Retirement Institute, and the Tuition Waiver Program for Senior Citizens. Upon her retirement from USF, she took her expertise to the fledgling Tampa Bay History Center, where she was the Founding Director of Adult Learning and has served in the education department since 2005. Lee Leavengood was appointed to the first Governor’s Commission of the Status of Women established in 1964 and served as vice chairman on this commission under three governors.